During its 500-year history, the modern world-system has seen several shifts in hegemony. Yet, since the decline of the U.S. in the 1970s, no single core power has attained a hegemonic position in an increasingly polarized world. As income inequalities have become more pronounced in core countries, especially in the U.S. and the U.K., global inequalities emerged as a "new" topic of social scientific scholarship, ignoring the constant move toward polarization that has been characteristic of the entire modern world-system. At the same time, the rise of new states (most notably, the BRICS) and the relative economic growth of particular regions (especially East Asia) have prompted speculations about the next hegemon that largely disregard both the longue duree of hegemonic shifts and the constraints that regional differentiations place on the concentration of capital and geopolitical power in one location. 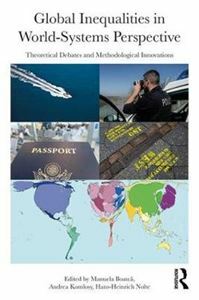 Authors in this book place the issue of rising inequalities at the center of their analyses. They explore the concept and reality of semiperipheries in the 21st century world-system, the role of the state and of transnational migration in current patterns of global stratification, types of catching-up development and new spatial configurations of inequality in Europe's Eastern periphery as well as the prospects for the Global Left in the new systemic order. The book links novel theoretical debates on the rise of global inequalities to methodologically innovative approaches to the urgent task of addressing them.